crowd-sourced innovation to solve everyday challenges. Let's start by asking people what they need. Listen directly to the local population to intimately understand their daily challenges and cultural context. Meet with villagers to annotate data-rich everyday life stories of the local population in video, audio and text. Let's define the challenges together. Crowd-source the identification of challenges described or observed in the collected data. Form problem statements that address the most compelling and greatest number of challenges. Let's find smarter solutions, together. Crowd-source solutions that fit the local situation and can be self-sustaining. Satisfy local needs for performance, cost, materials, infrastructure, maintenance, environment, and culture. Let's try it out together and refine it. Test and refine solutions with the initial engaged population and beyond. Rank the solutions based on performance and degree of adoption. Let's make an impact. Together. Achieve self-sustaining impact by allowing local entrepreneurs or any willing organization to produce, market, and distribute the solution to local population. Work with village resources to enable local manufacturing and production. Madagascar is one of the poorest countries in the world. 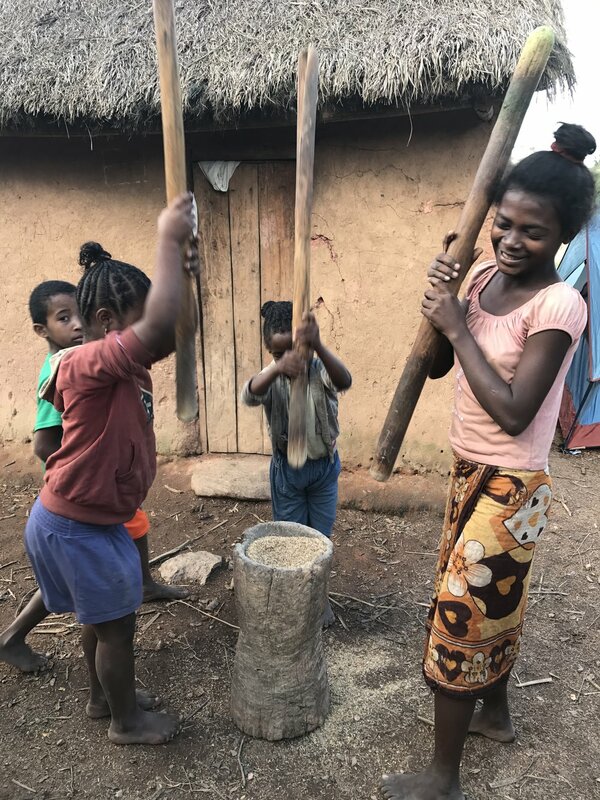 We wanted to know: How can we empower people in Madagascar to solve their every day challenges and allow them to create an environment where they can thrive not just survive. Pilot phase began June 2018. Modifications now underway. Let us know if you are a partner, an organization or a student interested in becoming an innovator.